Eight Hundread and Seven. 807. That’s how many Pokémon currently exist in the Pokemon universe, and that’s if you don’t count Mega Evolutions and regional or alternate forms, that are variations of existing Pokémon, individually. I have committed more than the average gamer’s time to memorizing Pokemon. I know there are a few that, even if you showed me a picture, I wouldn’t remember. I don’t have the memory of a n Alakazam. This isn’t a statement on the quality of those Pokémon, I think there’s a mix of decent to great in every generation. It’s a question of quantity over quality. Where each generation added a hundred new ‘mons, Let’s Go Pikachu & Eevee could only add a dozen and do more for the franchise than any generation transition before. It takes place in a completely new, fully-3D Kanto, with partner Pokémon appearing in the overworld. Pikachu and Eevee as Starters with new evolutions for both. The majority of new Pokémon will be evolutions of already known Pokemon (mainly from Kanto), and Kantoan forms for some Non-Kanto Pokémon. Gameplay will include an option to throw a Pokéball via the Touchscreen a lá Pokemon GO (in Handheld Mode) or with Motion (Docked Mode). Online Hub & Expanded Online Functionality and the integration of Pokemon GO. Leaning hard into nostalgia for the first home-ish console release of Pokémon makes a lot of sense. There’s a lot of lapsed Pokémon fans that would be harpooned in the heart with promises of Kanto and the Pokemon they started the series with. Pikachu and Eevee are immediately recognizable for both kids and adults, and have universal appeal for the series. Rediscovering Kanto, even if it’s just a shadow of what was introduced in Gen 1, 2, and those remakes, will mean a ton for those fans that have been clamoring to return to those regions. The Pokémon world is pretty expansive. Maybe even too expansive for what the series needs right now. Speaking of regions, since we know that Johto is linked to Kanto via the Magnet Train, what’s stopping us from heading to Johto in the new game? A ‘Global’ game may be too much to ask (imagine all the regional variants! ), but incorporating Johto would mean a game that’s twice as big, and will multiply the excitement fans will have revisiting the series when they dropped it after Gen 1 or 2. Also the Sevii Islands will probably be back. Adding fewer new Pokémon and instead focusing on the original 150 with Kantoan variations peppered in for flavor is the best way forward for the series. As generations have come and gone, it’s been harder and harder to attach to memorable Pokémon. Instead, expanding on the idea of regional variations means expanding a roster without padding the Pokédex with forgettable filler like [Name of Forgettable Pokemon]. Even if some of those aren’t all hits, we won’t be adding new Pokémon that Gewunners will eagerly throw into the Trubbish pile. The new touch/motion controls aren’t important. The entirety of the internet is (rightfully) obsessed with what “Pokémon GO-like controls” could mean. It could mean a total overhaul of battles, or maybe some flourishes on how you throw a Pokéball, even to include curve balls. So long as the core gameplay behind battling isn’t changed much (and please make those Pokéball controls optional), fans will be fine. Otherwise The Pokémon Company may as well feed the series to the Pyroars. Arms had decent (and optional) motion controls, so Nintendo would know better than to make them mandatory. Sure, we’ve had decent online functionality in Pokémon for a while. But modern online connectivity standards in gaming could mean endless game expansion via in-game events playing with friends in real time. The Pokémon GO functionality could be interesting and need to include the purchasable outfits (clothing options better be returning). 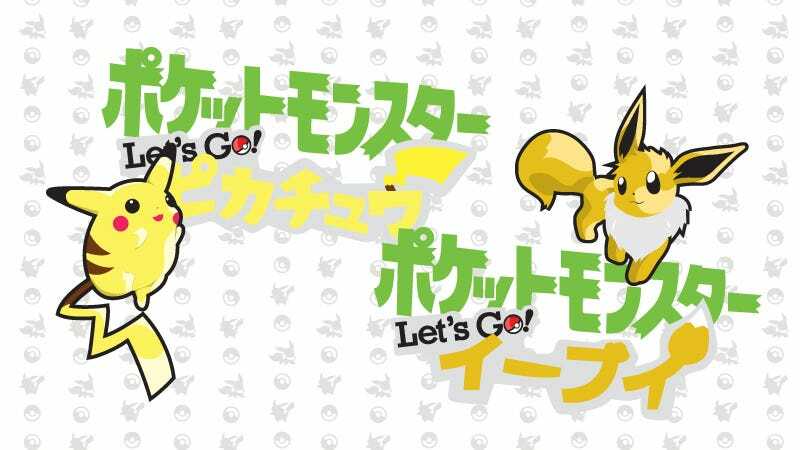 Using it as a version of the Pokéwalker from the Gen 2 remakes makes the most sense, but we’ve heard that it will also include moving GO Pokémon to the main game via Pokémon Bank. The fervor around the rumors has the Pokémon fan community hotter than a Magcargo, but not unified in favor or against the supposed changes to the series. Some are in totally understandable fear of the vague Pokémon GO-style gameplay. Others are clamoring for the injection of their favorite new mechanics into the original regions they love. Ultimately only time will tell what The Pokémon Company has in store for the franchise on Nintendo consoles and, if rumors are true, we’ll know exactly what it is soon. Unless you’re a Xatu of course, then you’d already foreseen it.